Dancing for daddy! Blac Chyna twerked for fiancé Rob Kardashian — with whom she shares daughter Dream, 2 months — on Snapchat Wednesday, January 11. The former stripper, 28, put her booty-shaking skills to good use for the Arthur George sock designer, 29, as seen in the video above. The clip, which Kardashian shared on Instagram, begins with Chyna — rocking a long-sleeved black top and matching yoga pants — walking along the couple’s driveway as her future husband greets her. “Hey, babe,” he says, to which the Lashed Bar owner responds, “Oh, hey Robert.” Next, Kardashian asks Chyna to get her groove on. The model agrees and treats her man to a cheeky performance. One day before the makeup maven busted a move for Kardashian, she posted a sweet snap of the formerly reclusive reality star kissing their little girl during a doctor’s appointment. "2 month Check up with Dream, Daddy, and I,” the mom of two — who also shares son King Cairo, 4, with ex-fiancé Tyga — captioned the Instagram photo. In the pic, Chyna flaunts her massive diamond engagement ring as she holds her daughter’s hand, while Kardashian leans over to plant a peck Dream&apos;s head. The couple’s sweet social media moments come just weeks after they briefly split before Christmas when Chyna moved out of the house she shared with Kardashian, taking their daughter and clearing out the baby&apos;s nursery. The breakup occurred not long after the video vixen’s Instagram account was hacked and several seemingly incriminating direct messages — in which she allegedly wrote to other men and criticized Kardashian as “fat” and “lazy” — were shared on the internet. 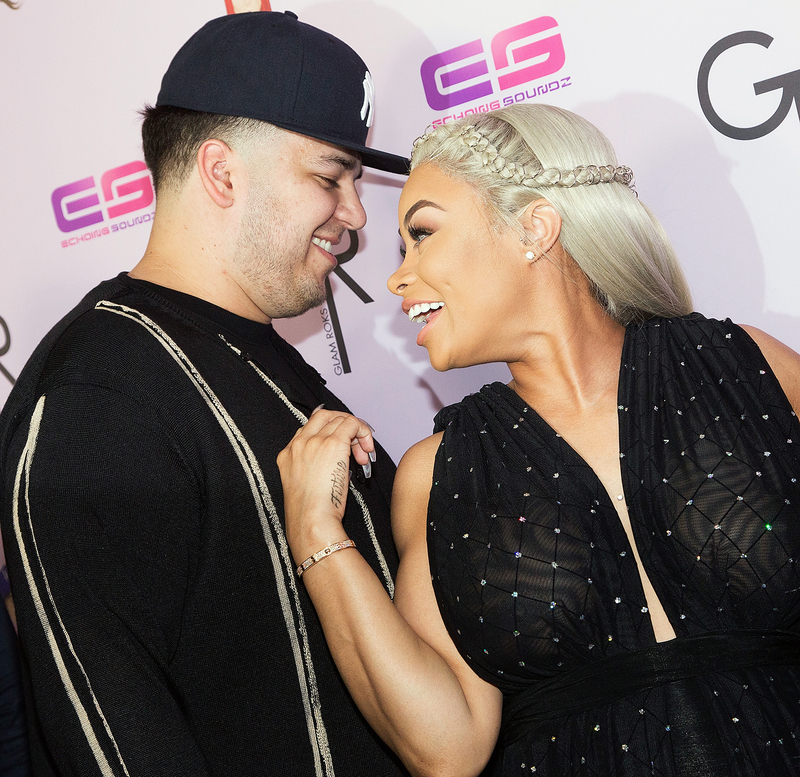 As Us Weekly reported on December 20, the pair, who got engaged in April, reunited after the “heat of the moment separation.” "He apologized to her on the phone," a source close to Chyna told Us at the time. "She was just sick of him and his behavior. She had it with his insecurities and jealousy."